Alicia has worked with a myriad of individuals including children, families, and adults. Alicia earned her B.A. in Psychology and M.A. in Clinical Psychology from Alliant international University San, Diego. During her time in San Diego, CA, Alicia worked with adolescents at a high school as well as with homeless children and their families residing at Saint Vincent de Paul Village. 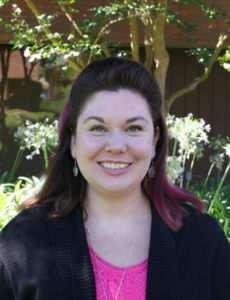 Alicia recently completed her full-time pre-doctoral internship at a community mental health center in Fresno, CA, where she provided individual and family therapy to children and adults. Alicia is preparing to complete her doctoral degree in Clinical Psychology from Alliant International University San Diego, CA. Alicia provides psychological services at the Sullivan Center for Children under the supervision of Jason Christopherson, Psy.D.